Approved Document B2, ‘Fire safety: Buildings other than dwellinghouses’, requires that other than in blocks of flats, firefighting stairs and firefighting lifts should be approached through a firefighting lobby. A protected lobby providing access from a firefighting stair to the accommodation area and to any associated firefighting lift’. 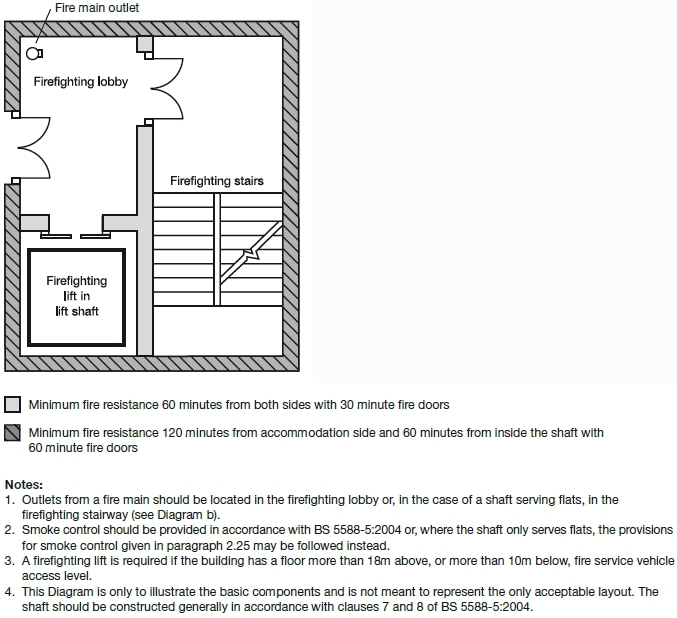 A firefighting stair is ‘… a protected stairway communicating with the accommodation area through a firefighting lobby’. A firefighting lift is ‘... a lift designed to have additional protection, with controls that enable it to be used under the direct control of the fire and rescue service in fighting a fire'.